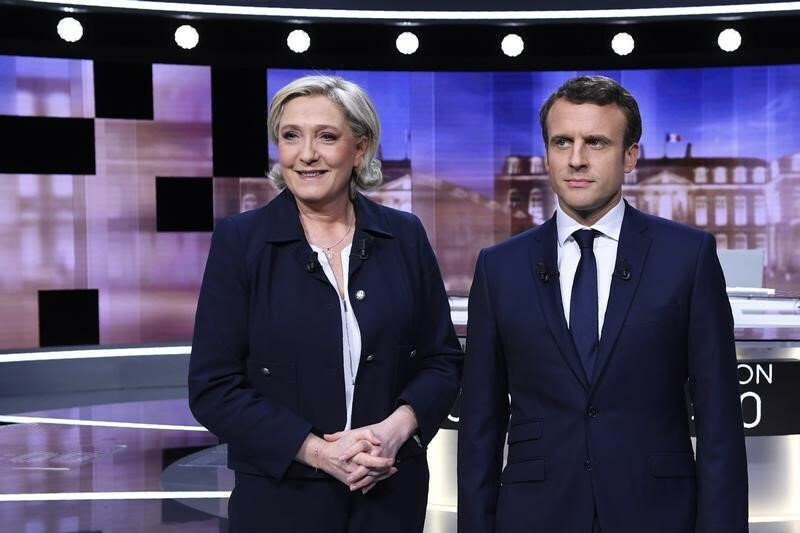 Emmanuel Macron and Marine Le Pen highlighted their personal animosity and the deep polarisation of French politics in a TV debate on Wednesday (3 May) ahead of the presidential run-off on Sunday. For more than two hours, the candidates traded insults and interrupted each other, and conjured radically divergent visions on the economy, social issues and the fight against terrorism and radical Islamism. Macron said that Le Pen was "the candidate of fear" and a "parasite" feeding off the system she denounces. She portrayed him as the candidate of "savage globalisation, of uberisation, of precariousness, of communitarianism, of war of all against all". 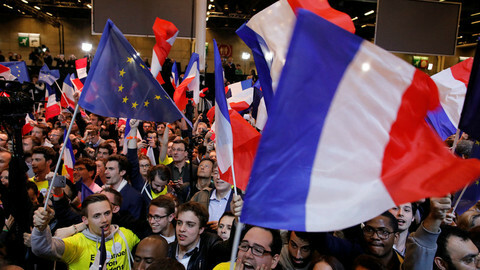 Le Pen, who is trailing by around 20 points in opinion polls, played the role of the anti-system "people's candidate". Her strategy seemed to be to try to destabilise and anger Macron. She repeatedly drew attention to the fact that Macron was a former adviser and economy minister under outgoing president Francois Hollande and insisted that "Hollande junior" was responsible for the country's economic difficulties and high unemployment. "You say you are the candidate of openness, you are the candidate of closure of factories," she told her opponent. Macron, who needed to convince voters that he is more than a "candidate by default", remained calm despite Le Pen's attacks. He also appeared to lecture his opponent. "Don't talk nonsense. 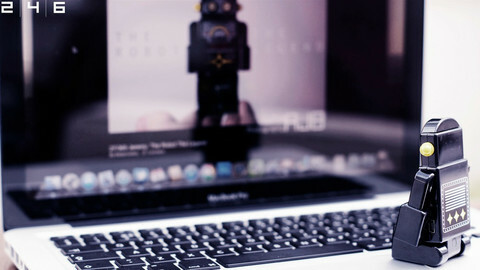 You talk a lot of nonsense," he told her, adding that she had shown that she was "not the candidate of subtlety". 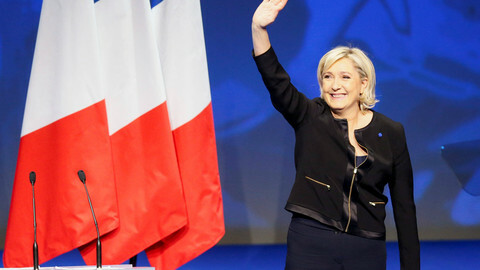 Among other issues, the two candidates clashed about the EU, with Le Pen struggling to explain her plans and accusing Macron of being "submissive" to the EU and Germany. “France will be led by a woman, it will be me or Mrs Merkel,” she said. "You went to see Mrs Merkel, to ask for her benediction, because you don't consider doing anything without her approval." 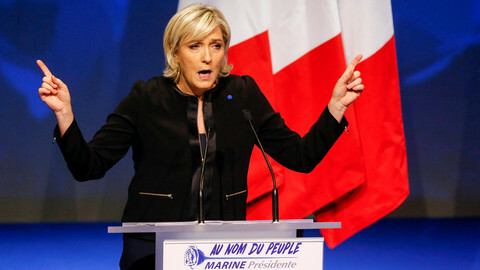 A few days after she said that leaving the euro was no longer a "prerequisite" to her policies, Le Pen said that is was "essential to have a national currency again". She said that the euro was "the bankers' currency, not the currency of the people". She said she would negotiate with France's EU partners to introduce a "common" currency that would be used by banks and gig companies, in parallel to national currencies that would be reintroduced. 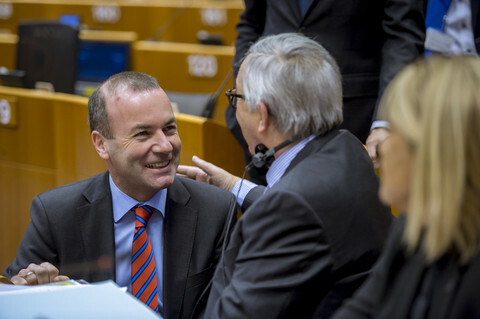 "The euro, it's important. So are we leaving it or not," Macron asked, to underline her opponent's lack of clarity on the issue. "Each country will have its currency," she insisted, adding that two parallel currencies existed "between 1993 and 2002". She was referring to the ECU, which was a unit of account, not a currency companies could use for payments. Le Pen said she wanted to create a "European alliance of free and sovereign nations" to "save Europe from the EU". She added that she would call for a conference of EU leaders and would put France's EU membership to referendum "after six or 10 months" of negotiations. Macron replied that leaving the euro was "a deadly and dangerous" plan and that Le Pen's EU policies would take France "out of history". 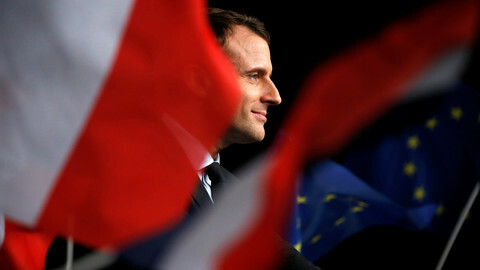 "My vision is to build a strong euro and a strong European policy, in which we defend France's interests," he said, adding that he wanted to "fight alongside Germany". He said he wanted a France that "makes reforms and takes its responsibilities". 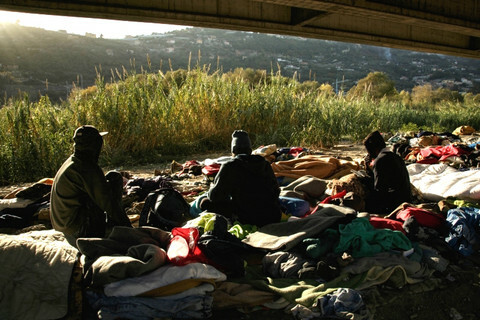 "Many countries are doing very well with the euro. What you propose is a currency war," he told Le Pen. Macron said that Le Pen was "submissive to Russia's diktat" but he did not mention the Russian loans to Le Pen's National Front. 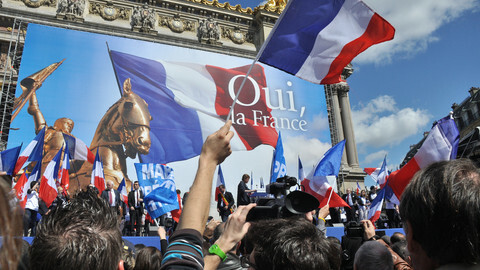 Le Pen, who was received by Russian leader Vladimir Putin in March, said that Russia had "no hostility towards France". "We have to remain equidistant from Russia and the US," she said. "We have no reason to wage a cold war against Russia, we have all reasons to engage in a diplomatic and trade relationship." The debate was watched by 15.1 million - a smaller audience than in previous elections. According to a poll immediately after the debate, 63 percent of people thought that Macron was more convincing than Le Pen. The French far-right candidate Marine Le Pen said over the weekend that leaving the euro is no longer a "prerequisite" for her policies.